Like a huge shell on the white sand of the beach, Hotel Bravo Club Caracol is surrounded by sea-grapes, palm and coconut trees giving it a touch of tropical and captivating exoticism. 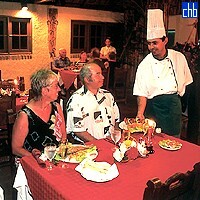 Located in the white sands of Santa Lucia beach, at Bravo Caracol a very family atmosphere reigns to its visitors. 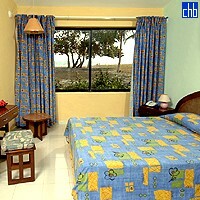 It has comfortable bungalow in hairspring form, and surrounded of beautiful tropical gardens. From the air, it looks like a giant snail posed on Santa Lucia's fine and white sand. Bravo Caracol operates under the all inclusive plan and it has comfortable and well decorated 150 bungalows with sleeping and living room. With a category of three stars, its environment is characterized by the leafy grapes creeks, palms and coconut trees that beat the sea breezes to print the atmosphere of serenity that you claim for a good vacations in family. And very near arrive calmly the greenish-bluish waters with their charmed whispers. 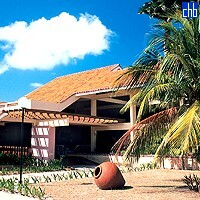 Bravo Caracol resort was completely refurbished in late 2015.